MIDI Polyphonic Expression was on the fringe three year ago. After a key approval, it's now on the verge of going mainstream. ROLI's Roland Lamb discusses the potential of MPE during the NAMM Show 2016. Joining the discussion were (left to right) keyboardist Jordan Rudess, MIDI Manufacturers Association president Tom White, Bitwig CEO Placidus Schelbert & Linnstrument inventor Roger Linn. Instruments like the Seaboard, the Linnstrument and the Soundplane signalled a new approach to controlling sound through touch. Three years ago, a group of music industry pioneers met in southern California to brainstorm how to connect a new type of electronic instrument. Among them were Roland Lamb and Roger Linn, inventors of the ROLI Seaboard and the Linnstrument — two instruments that signalled a new approach to controlling sound through touch. Nascent as it was, this category of instrument did not have an agreed name. They were provisionally called “multidimensional controllers” (MDCs) because they added new dimensions to musical expression. MDCs allowed players to simultaneously control multiple sound parameters all on one surface: to bend the pitch of a note with one finger while changing the timbre of a sound with another and increasing the volume with a third. And that was only three fingers. More sonic manipulation could happen with the other seven — all at the same time! For the Seaboard, the Linnstrument, and future devices to thrive, they would need to live in an ecosystem of compatible software. A few developers like FXpansion were already figuring out how to build programs that could absorb and respond to the masses of sonic data generated by a Seaboard. The MPE project began at the January 2015 NAMM Show. 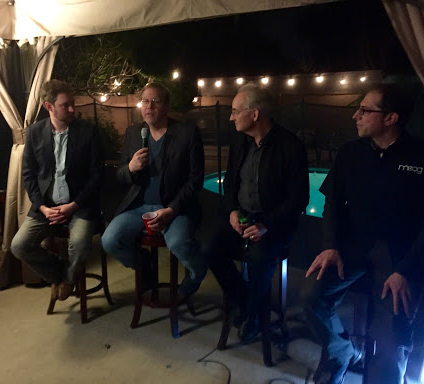 A group of instrument makers and software developers including Roland Lamb (ROLI), Keith McMillen (Keith McMillen Instruments), Roger Linn (Roger Linn Design) and Amos Gaynes (Moog Music) met by a pool one evening to discuss questions around compatibility. Those rules became official this week — exactly three years later. In a historic moment for electronic music, the MIDI Manufacturers Association approved a standard specification for MIDI Polyphonic Expression or MPE, as this category of compatible hardware and software is called. The category has grown over the last three years, even as it has lacked an official blueprint. Some of the world’s most popular software programs — like Apple’s Logic Pro and GarageBand and Steinberg’s Cubase — call themselves “MPE-compatible” because they work seamlessly with MPE-enabled controllers like ROLI’s Seaboard RISE and Lightpad Block and Keith McMillen’s QuNexus. The project of defining MPE has become an industry-wide movement: companies including Apple, Moog Music, Yamaha, Keith McMillen Instruments and ROLI have been members of the MPE working group. Now that MPE is officially defined, many more devices and programs will be adapted and become compatible. A fringe project that began three years ago is now on the verge of going mainstream, and a new mode of musical expression could arrive with it. Dr Ben Supper from ROLI led the drafting of the MPE specification, and he says the effects of this approval will soon be felt. “In the coming months, I think we will see more commercial plugins and synthesizers adopting this specification. The existing ecosystem of controllers, synthesizers, and editing software that can cope with instruments like the Seaboard is about to get bigger." 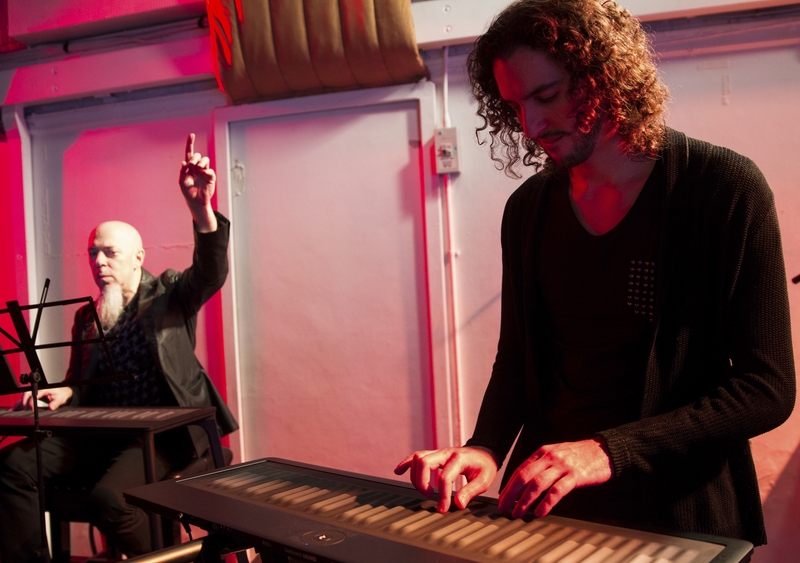 Jordan Rudess and Marco Parisi perform on the Seaboard GRAND, the first MPE synthesizer. It could have taken longer than three years for a disparate group of manufacturers and developers to agree on something as important as MPE. Fortunately their products already had something in common: MIDI. The MPE specification is built on the MIDI protocol — the basis for electronic sound since the early 1980s. As music journalist Craig Anderton writes in his recent essay, MPE is an enhancement of MIDI rather than an entirely new system for translating data into sound. Electronic musicians have woken up to the possibilities of MPE, even as the designation has been nebulous. Their Eureka moments — many of them captured on social media — often comes the minute they play an MPE-compatible MIDI controller. The passage of the MPE specification will introduce the words MIDI Polyphonic Expression into the musical lexicon. The vocabulary of musical expression, however, is set to expand in more profound dimensions.